Click on "Centres", then "Edit Centres". 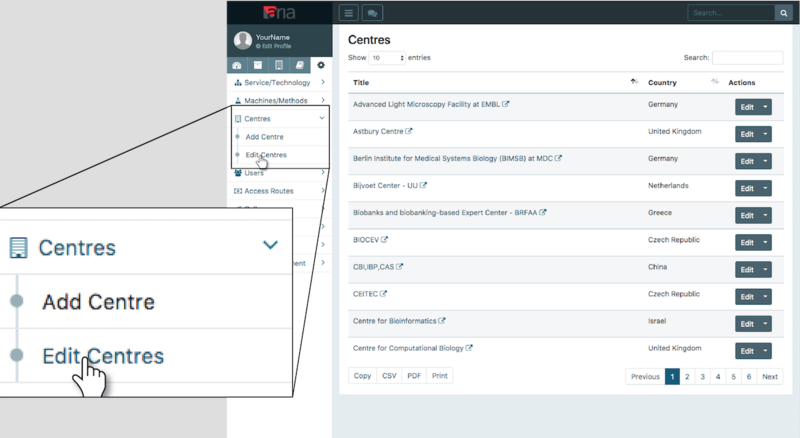 A list of existing centres for which you have edit access are displayed in a table. 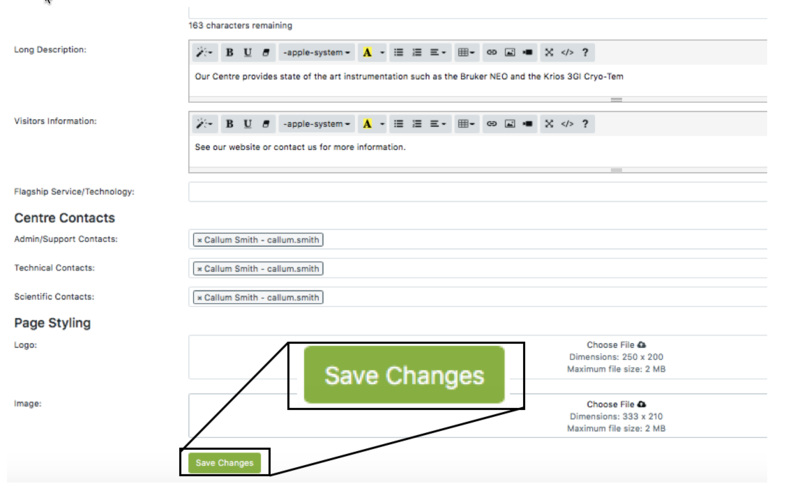 In the "Actions" column of the table click the "Edit" button in the row of the centre you wish to edit. To filter the list to locate a particular centre, type keywords in the table search bar. Make any required modifications to the centre form. 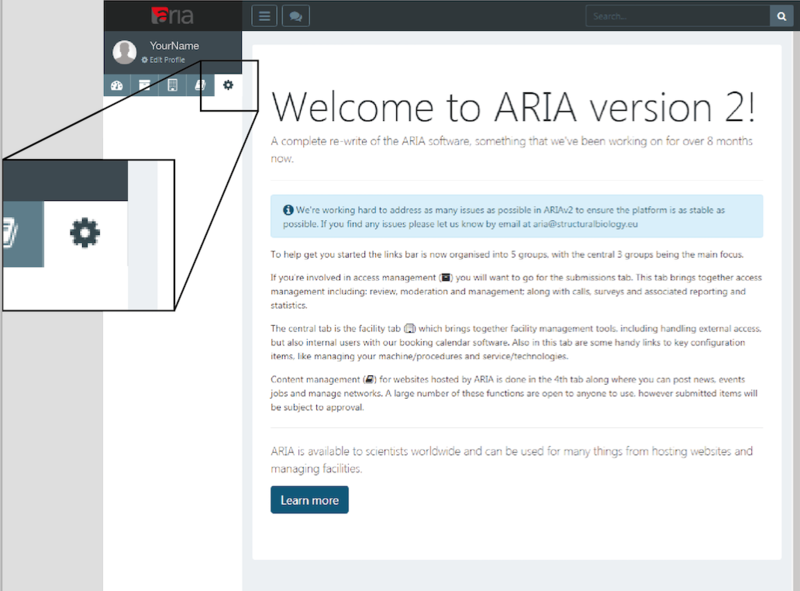 More information on the centre form can be found in the guide for Adding a centre to ARIA. 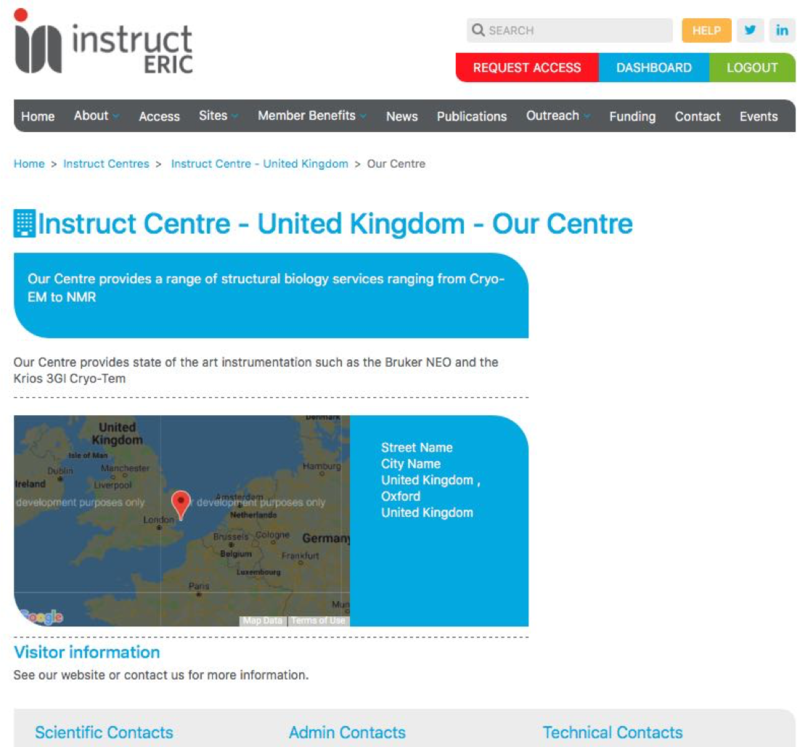 View the centre page at structuralbiology.eu/centre/your-centre-name-here.